A Stylish Twist on a Classic Design! Our generous sizing and overstuffed "High Memory" fibre fill brings new life to this traditional dog bed style. 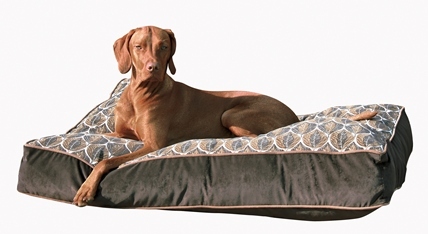 A great bed for dogs that like to stretch out! Fashion forward, two fabric design with contrast piping.